a popular radio serial in the 1940s and 1950s. 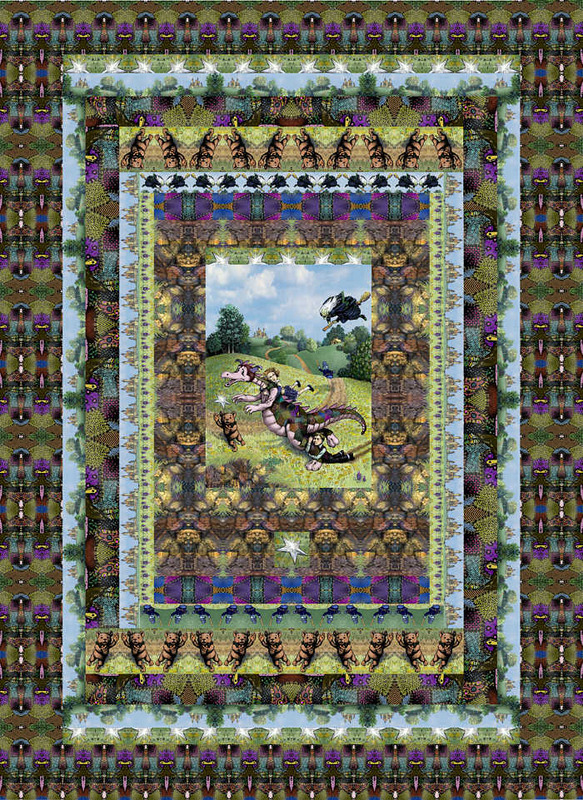 All elements of the quilt were derived from the painting which is the central image. website and images copyright 2001-2005 Barbara Webster. All rights reserved. Cinnamon Bear painting copyright 2003 John Mayer.